Xiaomi is one of the most famous Chinese manufacturers. 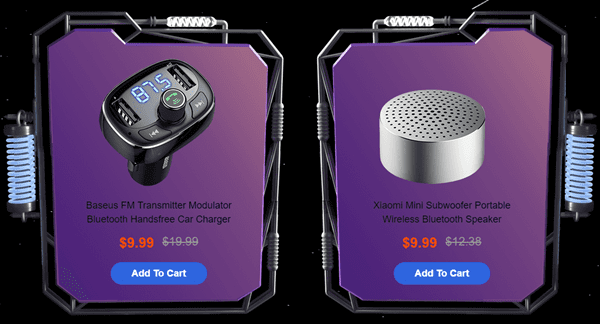 Their products are widely regarded as the most value-for-money options in each category, whether we are talking about smartphones, laptops, drones, or other kinds of electronic devices. 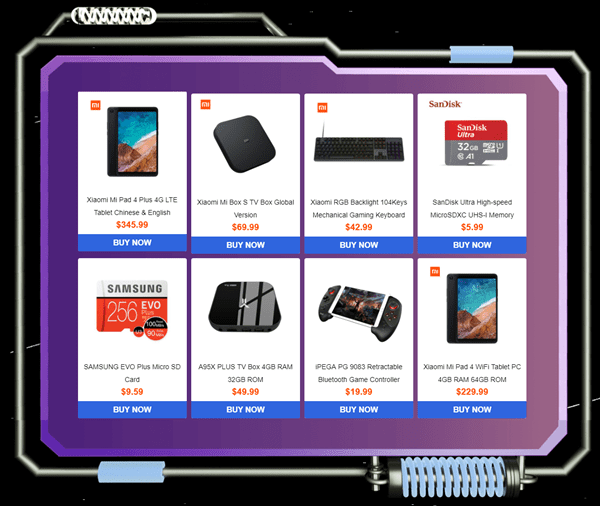 From November 1st until November 12th, we can find sales on a great variety of Xiaomi devices on GearVita's special 11.11 Sale event. Did you find a good sale? 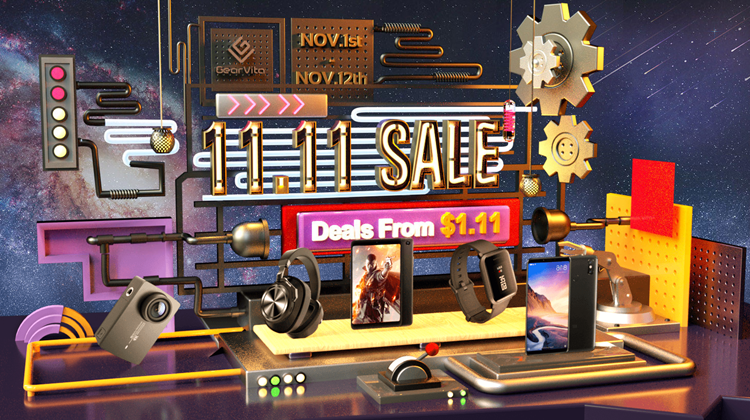 The deals on 11.11 Sale starting from - what a coincidence - $1.11. 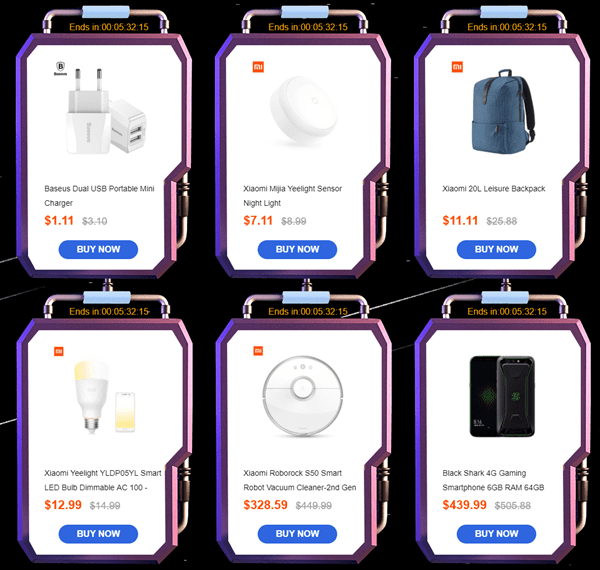 Most of the Flash Sale deals are well-known Xiaomi devices, such as the Yeelight Smart Bulb, or the new and improved Xiaomi Roborock S50 Vacuum. We should note that the Flash Sale section will change daily. Thus, if we find a good deal, we should buy it before it ends. 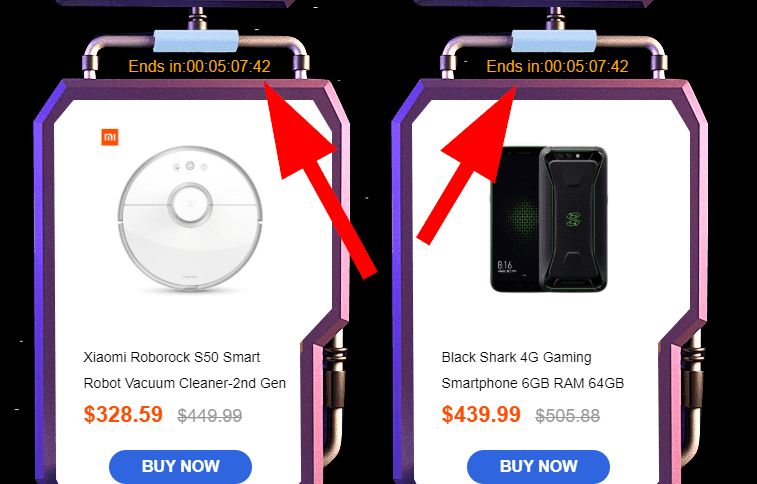 At the top of each product, we can see how many hours are left until the end of each deal. 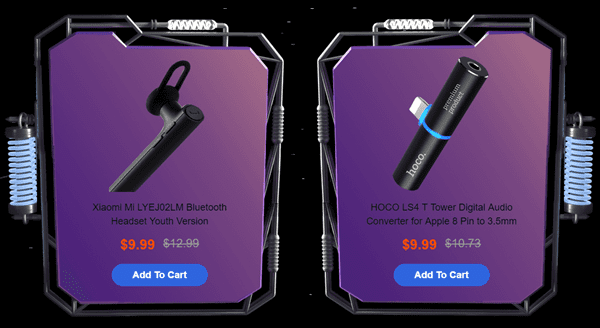 The most important offer for today's Flash Sales is Xiaomi's gaming smartphone, known as "Black Shark," at a price of $439.99. The Black Shark phone features the Snapdragon 845 for the best gaming performance, along with 6GB of RAM and 64GB of space. It also comes with Android 8.1, and it is packed with a massive battery of 4000mAh so as we can enjoy the gaming experience for as long as possible. If our order on Gearvita is over $50, we can add one of the "Cool Add-ons" in our cart, at the price of $9.99. All the Add-on devices have to do with audio. The Xiaomi Bluetooth headset is an excellent option for hands-free driving. There's also an FM transmitter for our car, that can work as a charger for other devices. Moving forward down the 11.11 Sale list, we will find great discounts on all the new Xiaomi smartphones. The Android One Xiaomi Mi A2 is a great option for those looking for an all-around mid-range device at a price $217.99. 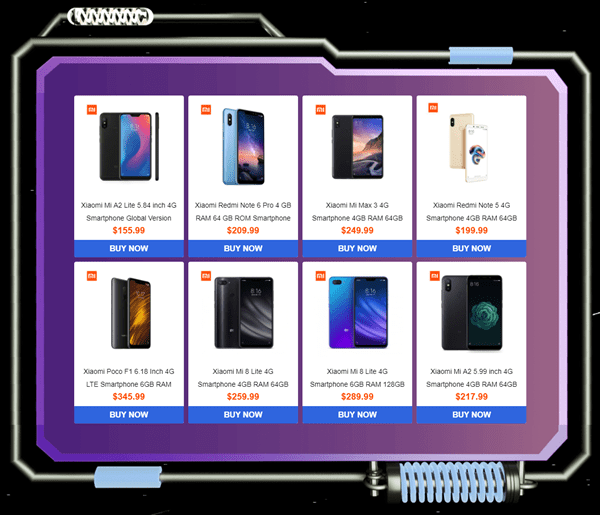 Xiaomi Mi 8 is the company's newest flagship device, and we can get the Lite version with 4GB/64GB for only $259.99, or $289.99 for the 6GB/128GB model. Last but not least, the Poco F1 is the smartphone everyone talks about the last few weeks. Reviews all over the web refer to it as "the flagship killer," and its specs speak to that name. With the fastest processor we can get (Snapdragon 845), 6GB of RAM, and 128GB of space, the Pocophone is probably the best phone to buy if you are looking for a VFM flagship. GearVita offers a lot of accessories as well, to accompany our smartphone. 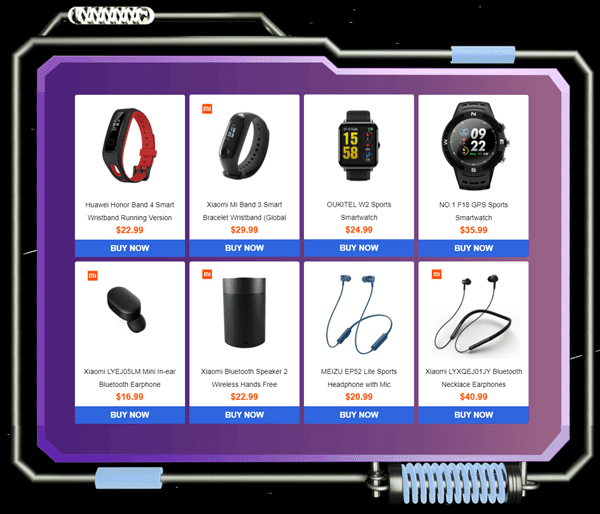 On the Electronics section, we can find the latest smartwatches on sale; not only the Xiaomi Mi Band 3 but also the Huawei Honor Band 4, as well as two other budget models. If we are interested in sports, the MEIZU EP52 headphones is a great choice. There's also Xiaomi's proposal on necklace earphones, the LYXQEJ01JY model, which were released earlier this year. Xiaomi's headphones feature a dual-driver hybrid configuration, Bluetooth connection, and high construction quality with a premium feel. Xiaomi's latest tablets - the Mi Pad 4 and Mi Pad 4 Plus - are also on sale. We will find them on the next section, along with the global version of Mi Box S, Xiaomi's mechanical gaming keyboard, and other peripherals. 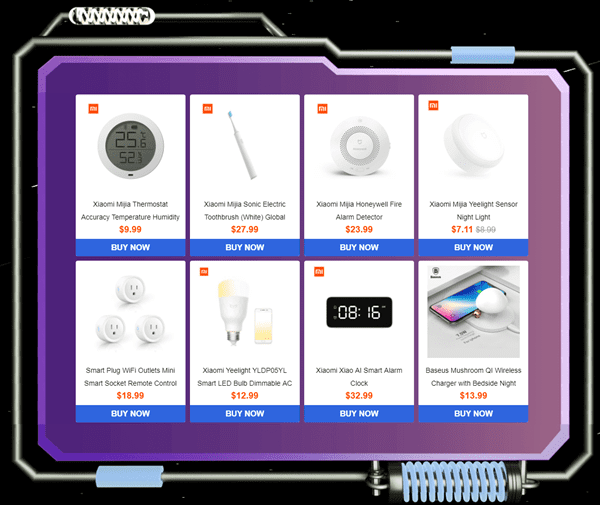 At the end of the page, we get to pick some of the smart home solutions, such as a wireless charger, the Xiaomi light sensor, and so on. 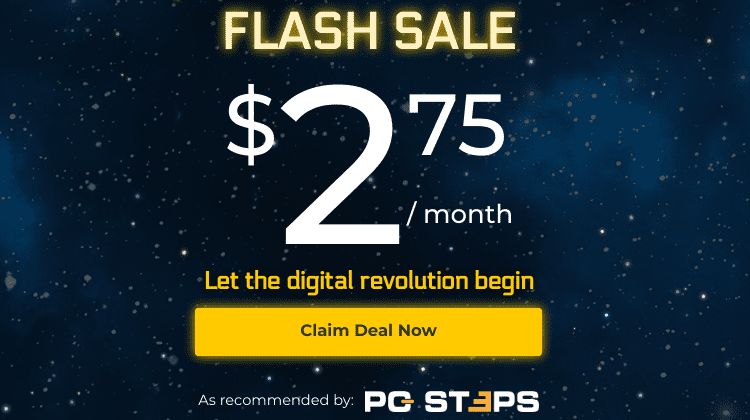 GearVita's sales will be up for a few more days. Did you find other products you believe are worth their price?